Last year, when OnStrategy first published our recession-planning toolkit (now titled Strategy on a Shoestring), we began the volume with an article titled Recession Survival: Find a way to Paint the Grass Green. The article, focused on finding opportunities that present themselves in a recession, mentioned a company based in Sacramento, CA that began painting foreclosed -on homes’ lawns green so that they would be more attractive to new buyers. We found the story so inspiring that since then we’ve used the term “painting your grass green” to describe the concept of discovering opportunities. 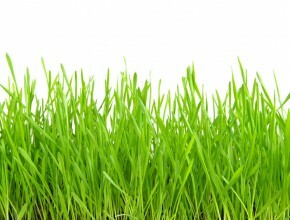 Just two days ago, the Associated Press announced that that company has been contracted by an entire city to “paint their grass green” as well! PERRIS, Calif. (AP) — A town is going green to combat foreclosure blight: A contractor has been hired to spray-paint lawn bald spots. Perris spokesman Joe Vargo said contractor Dave Milligan uses an environmentally friendly dye that lasts up to six months and is harmless to people and pets. The city hopes the foreclosed properties are purchased and occupied before the lawn needs a touch up. When we first reported on Milligan’s initial successes in Northern California, we found his novel idea extremely interesting. There was someone who’s industry (Construction and Landscaping) was facing some of the worst stagnation in the country, and yet he had discovered a surprising opportunity- while less homes were paying for landscaping, there were even worse-off yards laying all around the city; these were the neglected front yards of foreclosed homes. As their grass turned green, Milligan hatched an idea that has proved very lucrative. Painting the dead brown grass green using an environmentally friendly dye has helped sell the foreclosed homes faster, and has no-doubt improved the outlook for local neighborhoods that once contained these eye-sores. Images of lawns treated with this process can be found here. Structured strategic planning isn’t just something more todo; it’s a better way of doing something already being done.